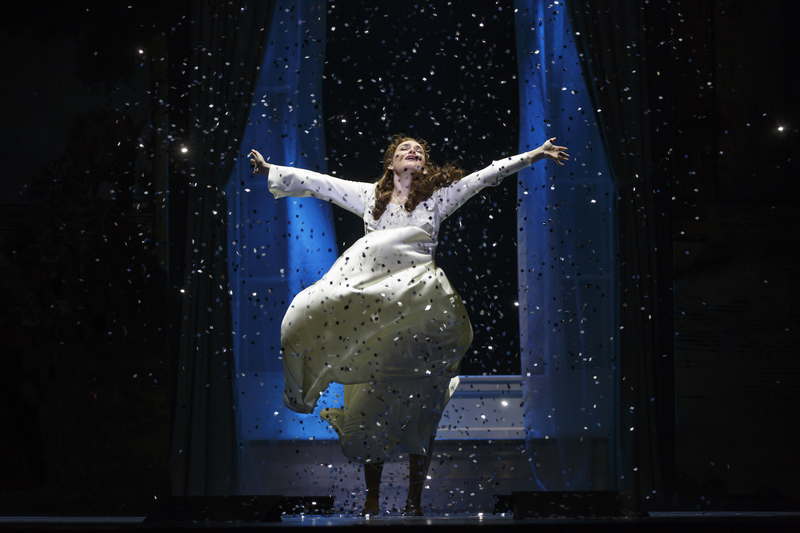 Finding Neverland was a charming, heart-warming 2004 film about British playwright J.M. Barrie and the family that inspired him to write his immortal classic Peter Pan. The film was based on Allan Knee’s unproduced 1998 play The Man Who Was Peter Pan. 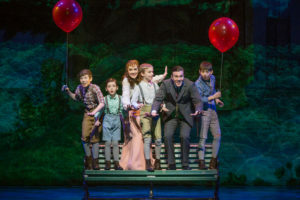 A musical version had its World Premiere in Leicester, England in September, 2012. Film producer Harvey Weinstein got involved and in July, 2014, with an entire new creative team in place, the American Premiere took place at ART in Cambridge, MA. 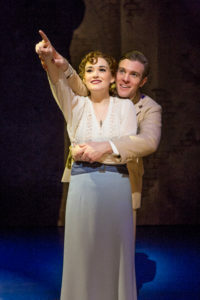 The show opened on Broadway in March, 2015, received no Tony Award nominations but did manage a run of 565 performances and made back its initial investment. The National Tour of Finding Neverland has now landed at the Hollywood Pantages Theatre. The lack of charm and magic is palpable. The story finds playwright Barrie (Billy Harrigan Tighe) having trouble coming up with new ideas for a play his producer Charles Frohman (Tom Hewitt) desperately needs. While walking his dog (Sammy) in Kensington Gardens, he comes across the Llewelyn Davies family. The high spirited George (Finn Faulconer), Jack (Mitchell Wray) and Michael (Jordan Cole) and the more serious Peter (Ben Krieger), who has taken the recent death of his father as an end to his childhood. With the help of his sickly mother Sylvia (Christine Dwyer) and the very childlike Barrie, Peter is encouraged to find the joy in life again. And through the boys and their fantasy playacting, Barrie discovers the joy in writing the play that will become Peter Pan. James Graham’s book is the main villain here; it totally lacks credibility. Right at the beginning we are told we are in 1903 London but you would never know it from the production on view. There is no true sense of time or place. Graham has made the Londoners caricatures not characters from the get go. Diane Paulus’s direction and especially Mia Michaels’s choreography only further heighten this cartoonish effect. Graham’s book feels more of the now than the then. He has written several openly gay actors strictly for cheap laughs. They are out of place in 1903 London, so soon after the Oscar Wilde scandal caused a mass exodus and a return to a very closeted lifestyle. If Sir John Gielgud didn’t feel comfortable enough to announce his sexual identity in 1953 London, it’s doubtful these actors would have a half century earlier. The score by Gary Barlow & Eliot Kennedy is also problematic. The two have created a string of hits for British bands but have never written for the theatre. They have created a few wonderful power ballads—“Believe,” “Neverland” and “Stronger” but the bulk of the score suffers either from clumsy construction or too modern a sound or both. The cast plays it full out but for the most part the result is an assault on the ears. Tighe and Dwyer are charming and talented and give their scenes a sense of believability. 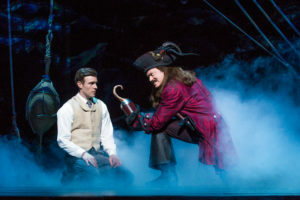 Hewitt is a delight, both as the frustrated producer and as Barrie’s dark side which manifests itself as the villainous Captain Hook. There are two truly magical moments in the show. Hook and his band of pirates teaching Barrie how to be “Stronger” gives a powerful end to Act One. The exit AKA death of Sylvia is given a truly magical staging. 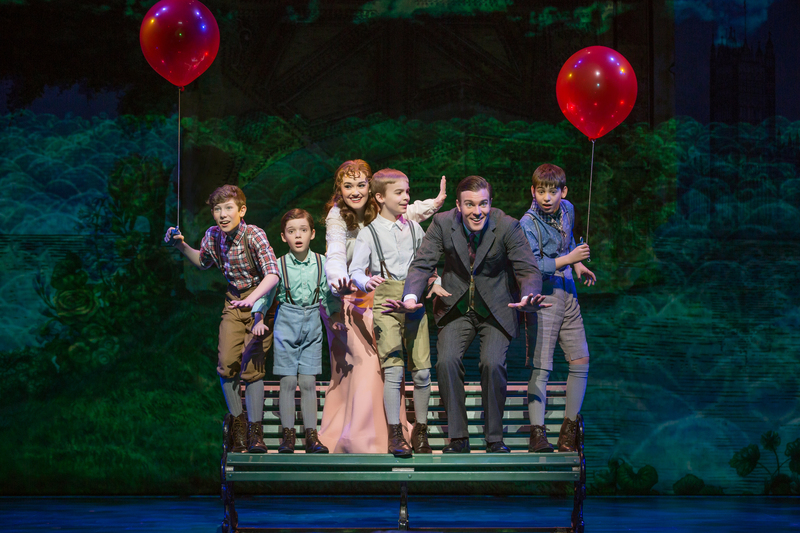 Finding Neverland could have used a lot more inspiration like those two golden moments. The audience at the performance I attended did not agree with my findings as they cheered and applauded throughout. Hollywood Pantages Theatre, 6233 Hollywood Blvd. in Hollywood. Ends March 12. www.hollywoodpantages.com or www.ticketmaster.com or 800-982-2787.